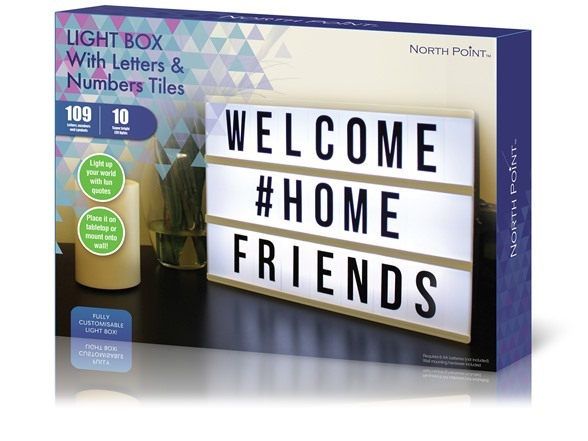 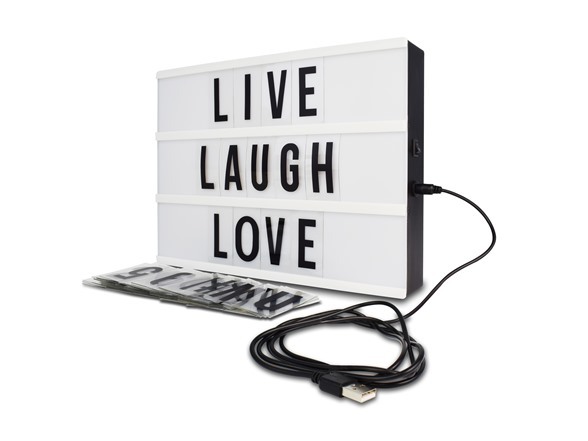 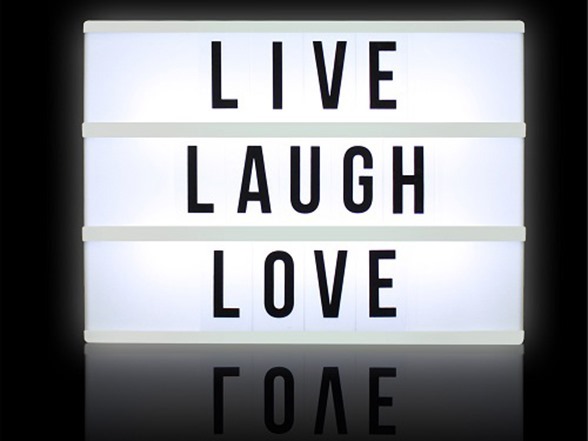 Inspired by Old Hollywood vintage cinema, slide interchangeable clear plastic tiles into rails on the front of this sleek lightbox to create words and phrases. 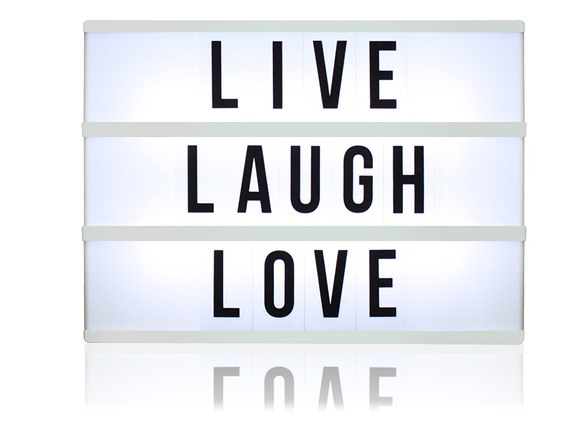 Flip a switch and watch your words light up with life! 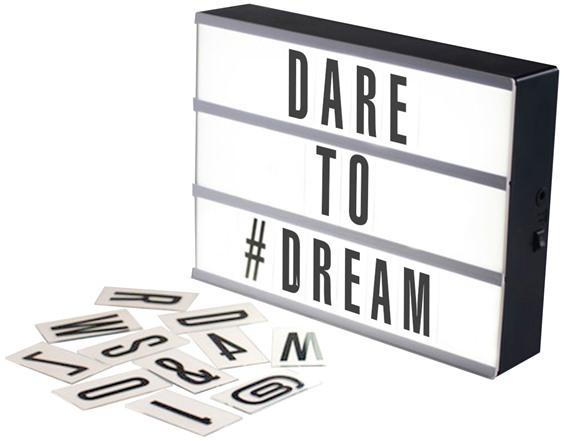 Great for home décor, milestone announcements, wedding décor, birthdays, photoshoots, and so much more!